It is 490BC and Athens is at war. Leander, trying to rouse his comrades for the morrow’s battle against a far mightier enemy, begins to recount the story of his own life. 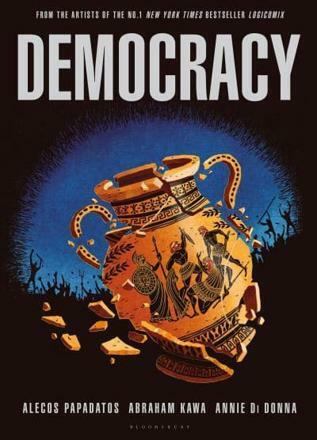 Having witnessed the evils of the old tyrannical regimes and the rise of a new political system, Leander tells a tale of danger, bravery and big ideas, of the death of gods and the tortuous birth of democracy. Through a series of breathtaking scenes, we see that democracy was forged from chance and historical contingency – but also through the cunning and courage of a group of highly talented, driven individuals. Alecos Papadatos and Annie Di Donna, artists behind the international phenomenon Logicomix, together with writer Abraham Kawa deliver a graphic novel bursting with extraordinary characters and vibrant colour, one that offers fresh insight into how this greatest of civic inventions came to be.